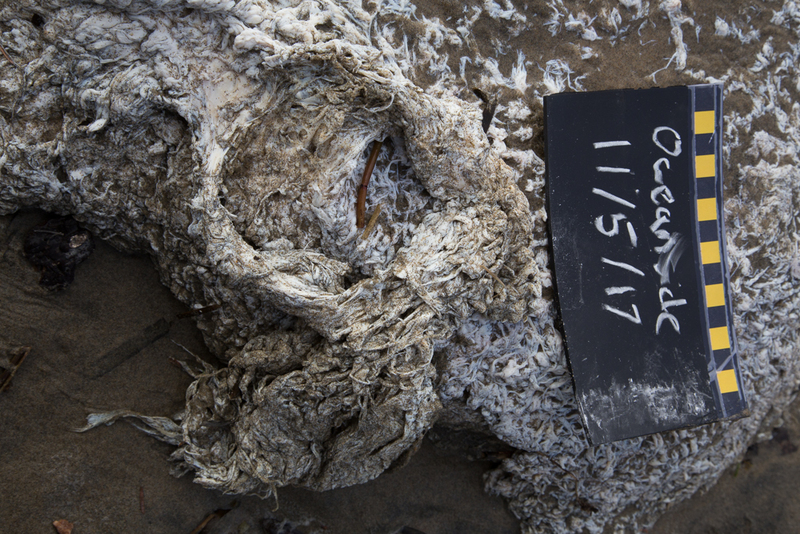 Could be hunk of sheep hide with wool, severely matted. That would stink! We saw the decomposing flesh of a known gray whale on the beach today and it looks very similar to this. And, yes, it really stinks, too! I can’t tell if it really has “wool” from the photos. 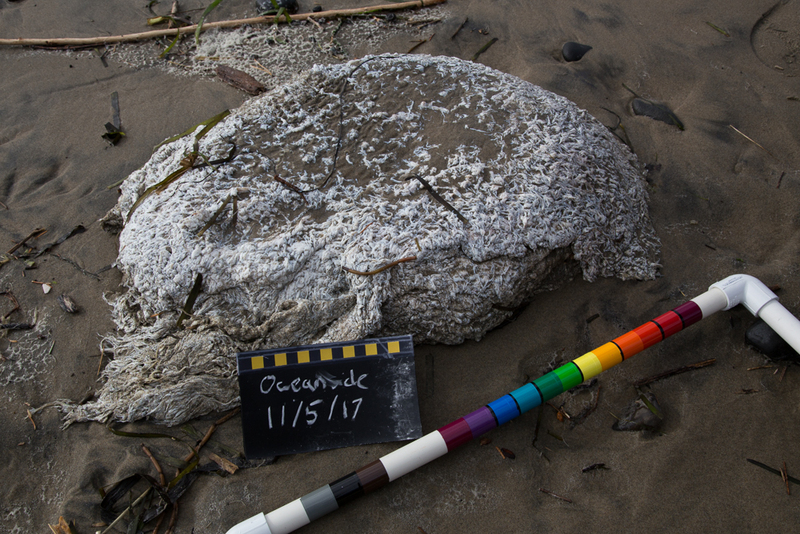 chunk of blubber from large cetacean?